Two women defied a centuries-old ban on entering a Hindu temple in the Indian state of Kerala yesterday, sparking rowdy protests and calls for a strike by conservative Hindu groups outraged by their visit. 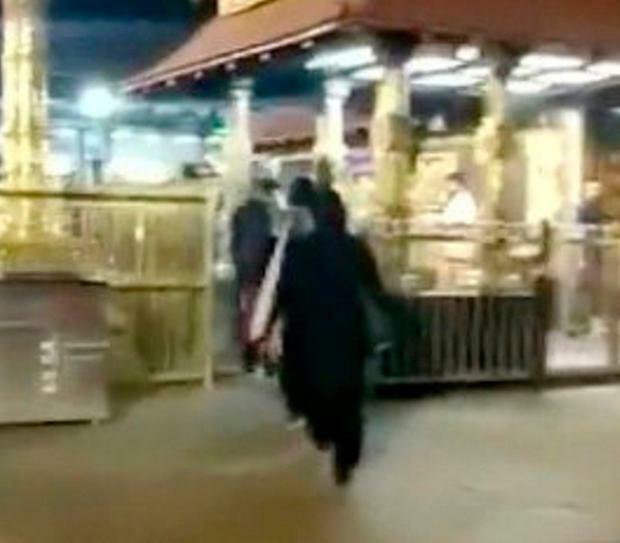 India’s Supreme Court in September ordered the authorities to lift the ban on women or girls of menstruating age from entering the Sabarimala temple, which draws millions of worshippers a year. But the temple refused to abide by the court ruling and subsequent attempts by women to visit it had been blocked by thousands of devotees supporting the ban. The Kerala state government is run by left-wing parties and it has sought to allow women into the temple – a position that has drawn the criticism of both of the main political parties, including Prime Minister Narendra Modi’s Hindu nationalist Bharatiya Janata Party (BJP). The uproar has put the issue of religion, which can be highly contentious in India, squarely on the political agenda months before a general election, which is due by May. The possibility of more confrontations was raised by a call from an umbrella group of right-wing Hindu groups in Kerala, the Sabarimala Karma Samithi, which is supported by the BJP, for a state-wide protest strike today. Earlier, the Kerala state president of the BJP described the visit to the temple by the two women as “a conspiracy by the atheist rulers to destroy the Hindu temples”. The party’s state president, PS Sreedharan Pillai, told TV channels the BJP would “support the struggles against the destruction of faith by the Communists”.